Merton RFC are looking for a coach for the 2018/19 season working directly with all teams to help develop a strong squad. Merton RFC is a growing club with players of all abilities and 3 Senior teams, plus the occasional Vets XV, playing competitive and social rugby. The 3rd XV is geared towards players coming back to the game or new to club rugby. 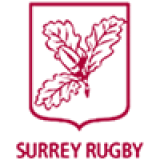 The 1st XV have established themselves in the Surrey Leagues and are looking to make the step up to the next level having recently finished runners-up in the Surrey Bowl. The 2nd and 3rd XVs are also looking to go higher, with the 2nd XV having won their Cup final at Esher this season, whilst still enjoying their rugby. The position is ideal for a developing coach or a senior player looking to break into coaching whilst still playing club rugby. Training is every Wednesday from 19:30 - 21:00 and support at Saturday matches would be desirable. Additionally, there are already a handful of volunteer player coaches signed up to assist you in your role, including a part time RFU Community Coach. This is very much a hands-on role, with emphasis on developing a growing squad and building on our Surrey League aims. Whilst there is no remuneration from the Club associated with this role, there is budget to develop coaching sessions by investing in fitness and conditioning sessions, gear and kit or anything else that would create the right environment for success. We're also keen to hear from other coaches who wish to be part of Merton RFC.